It’s been a few days since MLK day. Often, I have found MLK Day celebrations to be romanticized interpretations of Dr. King’s life and work. I think this co-optation of his words, work and image have also turned many social activists off from the holiday, and I’ve seen only a few reflective posts in the blogosphere that I visit. I invite readers to share how they usually spend their MLK Day by posting a comment. A while ago, I came across this speech (copied below) by Vincent Harding, who had worked closely with Dr. King. I had the honor of meeting Dr. Harding at a Beloved Communities gathering. Being in his presence helped me begin to unlearn the romanticism of the Civil Rights Movement and superficial understanding of Dr. King that is one of the more dominating narratives of those times. Such insights, along with reflections like the one below, help ground my understanding of Dr. King, especially during the challenging years of his political development leading up to his assassination. Some folks in the environmental justice community point to Dr. Martin Luther King, Jr’s support of the 1968 Memphis Santitation Workers Strike as one of the first campaigns to bring environmental justice issues into public visibility. If you are looking for an event to attend in observance of MLK Day on Monday, January 15, below are two events in Southeast Michigan that will examine issues concerning people of color and the environment. 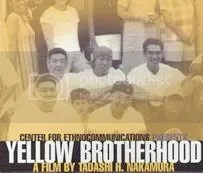 I just found out about this documentary film called Yellow Brotherhood (released in 2004), a group of Asian American former gang members who create a “self-help” group to help their community in the 1960s. I had met the filmmaker a few years ago through a mutual friend in LA. We were chatting at a party, and I remember hearing him talk about his interests in film and activism, and passion to document the histories of the Japanese American and Asian/Pacific Islander American communities, particularly from the our generation’s perspective (mid-20’s). It’s great to see the actualization of one of his projects. While I was looking through the YB website, I also learned about the Garden Grove 5 incident, which involved a Japanese American who was arrested for protesting a Minutemen raly. Just within the past two weeks, I have been part of conversations with a range of people — with non-SNRE types, around Detroit living rooms, during carpools, and in sangha discussions, that are speaking with passionate concern and urgency about global warming and climate change. The level of public consciousness about climate change has changed remarkably, and this comes to me with a mixture of surprise, anxiety, and relief. No doubt Al Gore’s Inconvenient Truth had something to do with getting the message out to a broader audience, and for many who live in Michigan, the warm weather and lack of snow in January has caught a lot of our attentions. While this year’s unusually warm weather may not be directly attributed to global warming, it is still to hard to ignore the melting ice shelf and decrease in bird migration. Climate change will reduce discretionary spending because prices will rise across the board. Low-income families will have to spend even more on food and electricity, which already represent a large proportion of their budgets. Indigenous Peoples are losing traditional medicinal plants to a warming climate, and subsistence households are suffering from the loss of species that are unable to adapt. Climate change harms the health of communities of color and Indigenous Peoples. Communities of color and Indigenous Peoples are burdened with poor air quality and are twice as likely to be uninsured than whites. Yet, these communities will become even more vulnerable to climate-change related respiratory ailments, heat-related illness and death, and illness from insect-carried diseases. Air pollution already hits people of color especially hard. Over 57 percent of whites, 65 percent of African Americans, and 80 percent of Latinos live in 437 counties with substandard air quality. Global warming is expected to double the number of cities that currently exceed air quality standards. Climate change will reduce discretionary spending because prices will rise across the board. Low-income families will have to spend even more on food and electricity, which already represent a large proportion of their budgets. (thanks for pointing out that this repeats #1). There are many groups working diligently on this issue. Admittedly, the pessimist in me feels that all this talk is too little too late, that our human footprints are irreversible. So I can only turn to the hopefulness in me, which asks me to embrace my cynism and fears by looking at how to reduce my own impact, as a person living in the world’s wealthiest country. In the spirit of TNH, I’m committing myself to a No Car Day once a week, and I invite others to do the same, to the extent that they are able. Sent off the rest of my grad school applications yesterday! Working on personal statements, statements of purpose, etc. has sucked a lot of my writing energies away from blogging. Mailing off that last packet was quite a relief. Thank you all for helping me through the process by reading, editing, proofing, encouraging and supporting! In other news: Lately I’ve been using this neat music service called Pandora, and it’s been an interesting way of coming across new musicians. Pandora allows you to create “radio stations” of a particular artist you enjoy listening to, and it will find and play similar music as that artist.